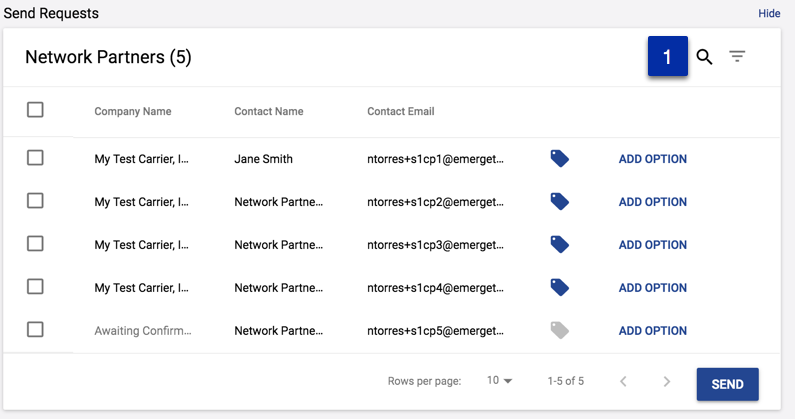 Once tags have been added to your Network Partners profiles, this article will explain how using those Tags will help you decide which partner will receive your quotes. Click the Search icon (near #1 shown below) to enter Company Name, Contact Name, or the Contact Email. Stop having to manual sort your network partners and quit having to remember which partner runs one of your lanes consistently. Use the search feature and tags to quickly send out quotes like never before.